When the word “bacteria” comes up in conversation, more often than not you are talking about those little germs that cause you to get sick every winter or what you are trying to keep out of various skin abrasions. These particular strains of bacteria are definitely unwelcome and it isn’t even a question that you will do anything to ward against them. There are, however, GOOD bacteria, known as probiotics that you will absolutely want to incorporate into your daily routine. Probiotics are active cultures found in many fermented foods you have probably passed while wandering the aisles at your own supermarket. Once you have experienced the immense benefits of these little bacteria strands, you will never look back. The more the merrier! 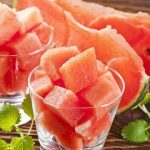 Here we introducing some of healthy probiotic foods add these into your diet plan can make a huge difference to your gut health. Lactobacillus acidophilus – fights allergens and bad bacteria and increases immunity. Lactobacillus casei – improves cholesterol levels and aids in digestion. Bifidobacterium bifidum – wards off harmful bacteria in the stomach and intestines. Bifidobacterium infantis – lactic acid bacteria that helps maintain a healthy digestive system. Bacillus coagulans – eases symptoms and infections caused by diarrhea and helps prevent respiratory infections. Bacillus subtilis – supports digestion and enzyme production in the gut. Saccharomyces boulardii – prevents harmful bacteria from growing in the stomach and intestines. Together, these bacteria can be considered superheroes. Many people have found that probiotics ease digestive issues like irritable bowel syndrome (IBS), lactose intolerance, and Crohn’s disease. For years they have also been used to treat diarrhea, symptoms of gluten intolerance, yeast infections, urinary tract infections, and more. Some studies have even been looking at their effect on certain types of cancers. While probiotics can be taken as a daily supplement, there are plenty of foods where these microorganisms naturally exist. Introducing some of these into your diet plan can make a huge difference to your gut health. Probably one of the most commonly advertised sources of probiotics, Greek yogurt is also one of the best. All yogurts are made from fermented milk, hence the natural presence of probiotics. Greek yogurt is actually strained twice during its creation, removing whey, resulting in a thicker yogurt that boasts more protein as well. As long as you do not have milk sensitivities, this yogurt can ease gut inflammation. Because it is so easy to come by, it is a great staple to start off your day or to eat as a snack after a sweaty workout. Pronounced KEY-FUR, this mega probiotic source has been shown to have even more benefits than Greek yogurt. Kefir is a fermented drink made from “grains” of yeast and bacteria. When mixed with milk or water, sugar, and dried fruits, these grains react by producing probiotic bacteria. While found in the same aisle as yogurt, kefir contains yeast, which yogurt does not, and also provide a great source of amino acids and vitamins such as B12, Phosphorus, and Riboflavin. Kefir can even help break down milk sugars that are hard to digest, making this a potential beverage for those suffering from lactose intolerance. You may only think of sauerkraut when you are eating hot dogs at the ballpark or at your 4thof July barbeque, but it is a worthy contender when it comes to easing symptoms of IBS and other digestive concerns. Sauerkraut is fermented cabbage, which is fairly simple to make at home, but is also widely available at local supermarkets. Cabbage itself is an incredibly nutrient-dense vegetable, so when it is paired with the fermentation process, it really does become a probiotic superfood! Kimchi, to put it simply, is the spicy, Korean cousin of sauerkraut. This side dish is made by fermenting cabbage with salt, vinegar, chili pepper, and various other spices. The fermentation process can take anywhere from a couple of days to a full week and can be stored for months at a time. It is one of those magical foods that gets better the longer it sits, so it is perfect to prepare in advance and whip out week to week. Like many probiotic foods, kimchi has the ability to boost your immunity, especially because it also contains vitamins A, B, and C.
If you are a vegan or vegetarian you are probably already familiar with tempeh. These fermented soybeans are packed with probiotics as well as protein, and similarly to tofu, tempeh has the ability to take on any flavor you top it with. Soybeans themselves contain phytic acid that improves digestion and absorption. You can find tempeh packaged in your local grocery store in “brick” form that can then be prepared hot or cold. Tea lovers rejoice! Kombucha combines all of your favorite aspects of a cold tea into a delicious probiotic drink with dozens of flavors to choose from. During the fermentation process, this tea produces a living colony of bacteria and yeast called a “scoby”, which contains sizeable amounts of probiotics. Kombucha has been around for centuries and has become much more mainstream these days, with many even attempting homemade versions. You will be thanking your local sushi restaurant for always starting off your meal with a hot cup of miso soup. Miso itself is a paste made with a combination of soybeans, salt, and koji – a mold also responsible for soy sauce and sake. This paste can be combined with anything, including broth in that infamous appetizer soup. While this paste is extremely versatile and has been used to treat illness as well as stomach issues, it does contain a large amount of salt, so it may not be for you if you are being conscious of salt consumption. You may be surprised to learn that pickles pack a punch in the probiotics world and if you are a fan of the condiment, they will not be hard to add into your diet. Keep in mind, however, that pickles that have been made with vinegar do not count. Usually these are the types you inevitably pick up in the store. Only pickles fermented in salt water will contain the necessary probiotics to make it count, so be sure to check the labels if you are buying a jar. Luckily, pickles are incredibly easy to make fresh at home and only take about a month to ferment. Could a pickle a day keep the doctor away? It is worth a shot. This Japanese specialty is not very well known in the United States, but has started to become noticed more and more. Natto is another probiotic food produced by fermenting soybeans and contains over ten other vitamins and minerals. This iteration of soybeans has a nutty smell and a sticky, stringy texture, and is often served over rice with soy sauce and other seasonings. It may have the appearance of chunky peanut butter, but its health benefits are far greater. Give this unique dish a try the next time you are itching to dive into some international cuisine. Cottage cheese is one of those foods where you either love the taste and texture or you don’t. If you are looking for a new source of probiotic that also combines your dairy and protein needs, this may be the one. Cottage cheese is made from fermented milk, which creates the chunky curd quality. 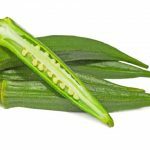 Try it on its own or mix it with a little pepper or a variety of fresh fruit for a perfect snack. To get the best results from your cottage cheese, make sure that the package says that it has “live active cultures”. Famously used as a bread bowl for soup because of its crusty exterior and soft interior, sourdough is a favorite bread of people all over the world. The reason sourdough bread is called “sour” is due to the fermentation process the dough goes through before being baked. The active yeast cultures in the dough give it that signature taste. While sourdough does contain small amounts of probiotics, it is still bread, so it is best to only enjoy in moderation. Pancakes aren’t the only way to get your buttermilk fix. Buttermilk has been used in baking for many years due to its flavor and amount of lactic acid. This milk is formed by the residual liquid leftovers from churning butter. The liquid ferments to create the thick tangy milk we know and love. Buttermilk’s creamy texture has been known to ease an upset stomach and even coat an inflamed throat. If you are purchasing buttermilk in a store, be sure to check that it has live active cultures, as this will ensure the presence of probiotics. There are hundreds and hundreds of varieties of olives grown all around the world and each has one thing in common. They must all go through the same fermentation or curing process before being consumed. Olives boast being both anti-inflammatory and antimicrobial, making them an excellent choice to battle an unhappy gut. Not only that, but olives are also on the list of healthy fats, making them an excellent heart-healthy snack. Add a handful to your next salad for a dose of extra protection. It may sound like a character on Sesame Street, but acidophilus milk is actually just regular milk enriched with the acidophilus strain of probiotic bacteria. There are two types of acidophilus milk – sweet/unfermented and fermented. The unfermented variety tastes almost identical to milk, while the latter has a tangier taste. Acidophilus can also be found in various brands of yogurt. Swapping in a little acidophilus milk on your cereal or in your daily smoothie can only be beneficial. Cottage cheese is not the only cheese to turn to on the quest for probiotic-rich foods. Many other raw cheeses such as feta, gouda, gruyere, and classic cheddar are on the list. You will know that a cheese contains probiotics if they are aged or were made from unpasteurized milk. Because of their high fat content, raw cheeses preserve the probiotics as they move through and get absorbed by your digestive track. If there wasn’t already a reason to love cheese, there is now. While probiotics are absolutely something to add into your daily meal planning, it is also important to note some of the side effects that may occur. The most common side effect, especially when first starting to really add more probiotics to your routine, is gas and bloating, since probiotic bacteria directly effects your digestive system. Once your body adapts to these new levels, the uncomfortable bloating should subside. Unrelated to the gut, some people have reported migraine-level headaches after consuming a large amount of probiotic food, so they may not be for you if you have a history of migraines. Similarly, those who tend to suffer from histamine issues – runny nose, watery eyes, etc – may not want to consume heavy quantities, as probiotics can cause histamine levels to rise, making these symptoms worse. That being said, probiotics are safe for the majority of people, with very small amounts of people being affected adversely. Probiotics are the underdog. 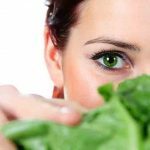 They can have some mind-boggling positive effects on the body if consumed in enough quantity. 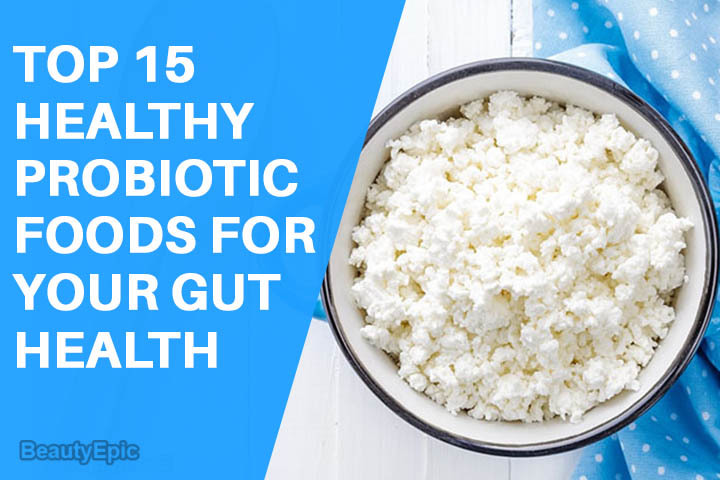 Between supplements and this list of fifteen probiotic-rich foods, there are plenty to choose from. As with any diet change, start slowly and add a little at a time to test your tolerance. Over time your body will adapt to these new doses of microorganisms and give you a big thank you. A healthier life is just a probiotic snack away! Prunes for Constipation Relief – How Effective Is it? Alyson Monaco is a professional dancer by trade, performing, teaching, and choreographing out of her home base of New Jersey. A former dance major at the Boston Conservatory, her love of how the body moves lead her to become a Certified Personal Trainer and Group Fitness Instructor through AFAA. She is currently pursuing her teaching certification in dance. Alyson loves working one on one with people of all ages and ability, and truly enjoys helping people find a better quality of life.